Just in case you missed the news, SweetStamps has switched over to an ANYTHING GOES Monthly Challenge and every Monday, the design team will share some inspirational projects with you! Fun right!?!?! 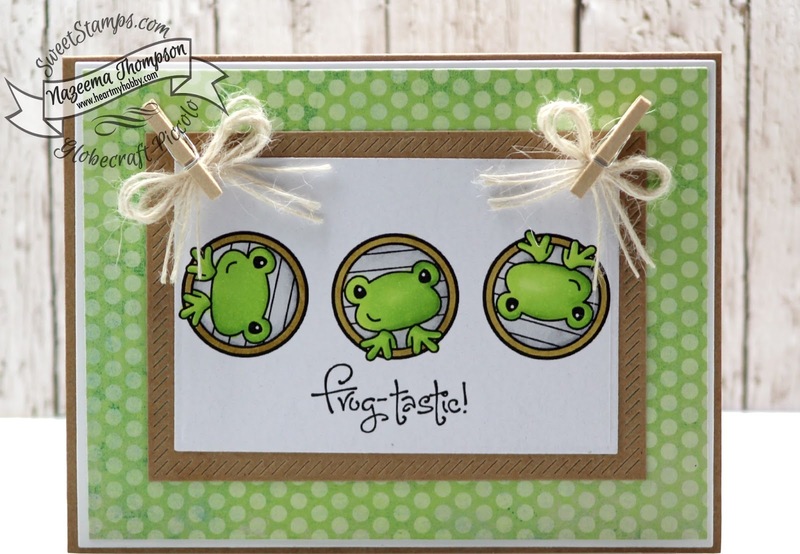 Before I get to my card today, I wanted to let you know that SweetStamps is also having a DT CALL!! So if you are located in the US, love crafting (Scrapbooking, ATC, Mixed Media) and love getting free products and a discount every month, then this is the team for you! Image has been rotated to create a fun little scene and colored with Copic. The frame has been colored with Wink of Stella Gold, but doesn't show well in the picture. Cutest frog EVER!! I love this!